To create a truly amazing holiday, why not mix-and-match escorted tours with a cruise? We all love exploring new destinations, and the cruise lines are only too happy to oblige. But if you choose to extend your stay, pre- or post-cruise, how can you get the best out of somewhere you’ve only just discovered? That’s where escorted land tours come in. Instead of the uncertainties of exploring alone, an escorted land tour is organised and led by experts with deep local knowledge. Whatever your interests and passions, there’s an escorted tour for you – whether it’s dragon-hunting in Komodo, gastro-touring in Italy or a pilgrimage to the battlefields of France (Sir Max Hastings on the Somme, anyone?). Today’s cruisers are increasingly seeking out-of-the-box ideas for their pre- or post-cruise itineraries. “When I go on a cruise I always look out for an interesting escorted tour but I don’t want to do the usual stuff – I want to experience something unique,” says 55-year-old Tim Storer, a cruise-lover from Leicester. For a once-in-a-lifetime journey aboard one of the world’s most famous trains, sign up for Saga’s 18-night Trans-Siberian Railway Adventure, comprising six nights on the train and 12 nights in hotels, where you’ll get a chance to meet the locals as you traverse two continents from Moscow to Beijing, crossing the Siberian hinterland and the Gobi Desert. 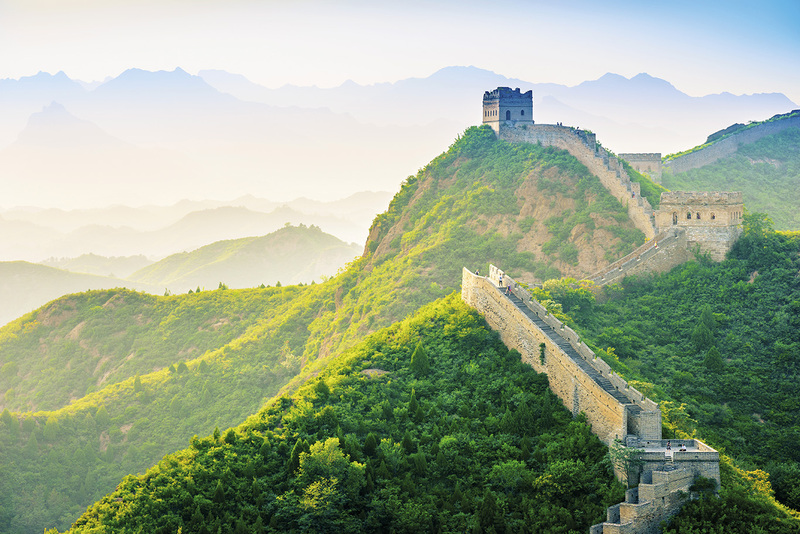 You can even take an excursion to the Great Wall of China. 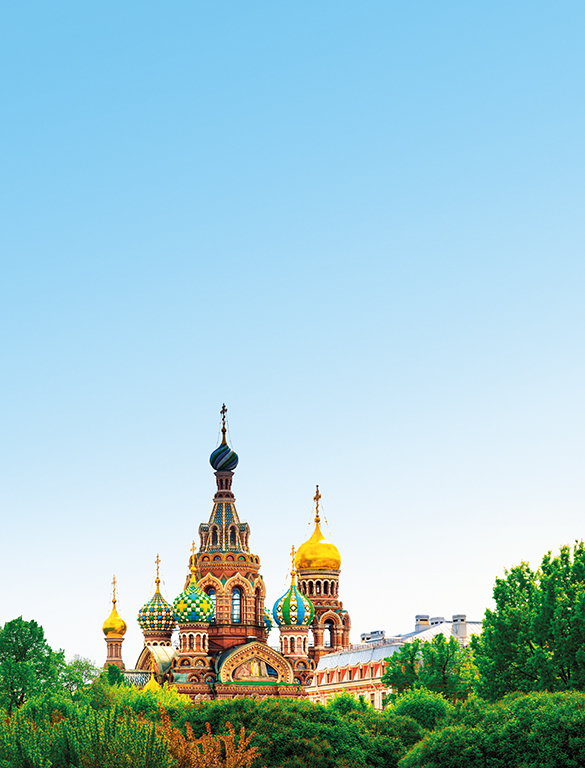 For a totally immersive experience, take Saga’s 10-night St Petersburg to Moscow cruise before your railway adventure. Highlights include a tour of the magnificent Hermitage Museum and a trip to picturesque Kizhi Island as you travel along the Russian waterways. Book it: 18-night Trans-Siberian tour, departing 12 Sept 2019, from £6,199; 10-night St Petersburg to Moscow cruise, departing 29 Aug 2019, from £1,499, (travel.saga.co.uk). Families increasingly want to experience the trip of a lifetime together, which is why companies like Tauck are offering itineraries tailored to multi-generational groups, from grandparents to teens. The spectacular Pura Vida tour belongs to Tauck’s Earth Journey portfolio, which was created in partnership with the natural history experts at BBC Earth. If you like the sound of bathing in volcanic hot springs, floating along a jungle river with expert guides or meeting giant owl butterflies in the Monteverde Cloud Forest Reserve, this tour is for you. Tauck’s “Panama Canal & Costa Rica” cruise offers a natural selection of amazing wildlife encounters, including a beach party on Isla Parida, renowned for its parrots and toucans, and a chance to explore the coral reefs of Manuel Antonio National Park. Book it: 8-day Pura Vida tour from £2,750, departing 7 January 2019; 12-day Panama Canal & Costa Rica cruise from £5,040, departing 25 January 2019 (tauck.co.uk). Cost-effectiveness and convenience are two more big bonuses when you take the escorted tours route. With all the logistics taken care of, and most of your holiday costs paid in advance, you can just relax and enjoy the trip. You’ll marvel at snow-capped peaks, visit charming towns and discover the landscape that inspired The Sound of Music during Titan Travel’s escorted tour from Salzburg to the Tyrol. For an extra dose of fairytale magic, add a Titan cruise from Cologne to Basel via the Black Forest. En route you’ll visit the wine town of Rüdesheim, medieval Eltz Castle and the stunning Rhine Gorge. 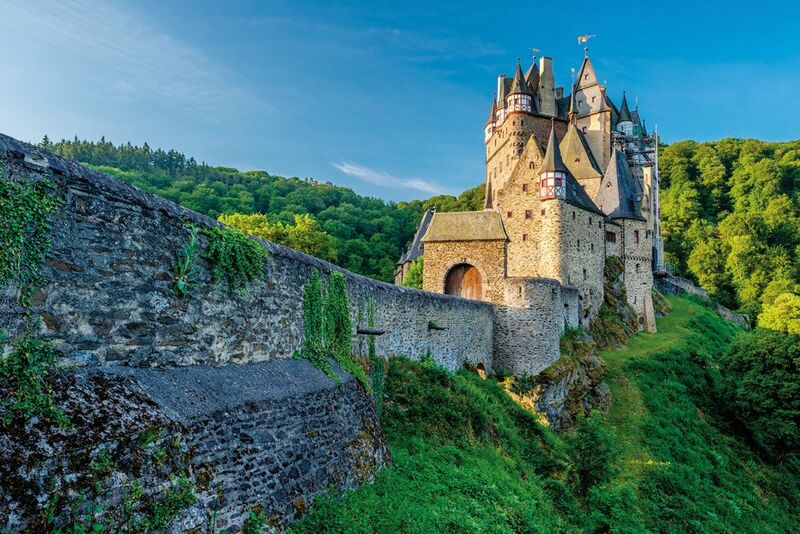 Book it: 7-night “Tyrolean Magic” tour from £1,529, departing 17 June 2019; 10-night “Castles of the Rhine and Moselle” cruise from £2,199, departing 1 June 2019 (titantravel.co.uk). Forget the “twenty countries in ten days” concept that was so popular a few years ago, when travellers wanted to pack as much as possible into a single itinerary. Today the emphasis is on total immersion – with plenty of free time for guests to experience the destination in their own way – and groups no longer race from one country to the next (unless they want to). “There is always plenty of time to explore independently during our tours,” says Alastair Campbell of Travelsphere. And since tour groups are also getting smaller, today’s escorted itineraries are far more flexible, with plenty of opportunities for bespoke last-minute additions. If you fancy visiting uber-cool Vancouver, followed by a breathtaking railway journey on one of North America’s most iconic trains, this is the tour to choose. Expect incredible scenery, dizzying gorges and the chance to spot bald eagles and grizzly bears as you travel through the Canadian Rockies, enjoying gourmet meals in the dining car and staying overnight in luxury hotels. Hop off the train and on to the fabulous MS Nieuw Amsterdam for a seven- night Alaskan cruise along the Inside Passage, spotting mighty glaciers, polar bears and whales while learning about the region’s fascinating Gold Rush history. 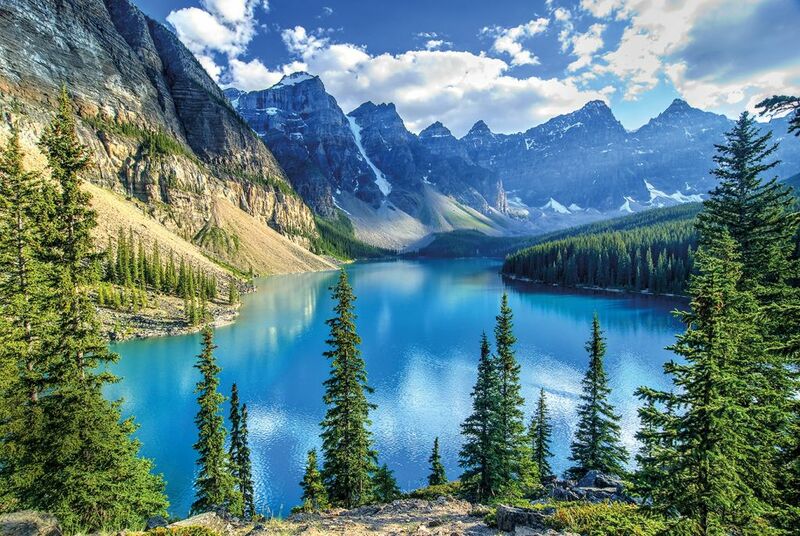 Book it: 18-day “Canadian Rockies Getaway Circle” with post-tour Inside Passage cruise, from £4,756, departing 25 April 2019 (rockymountaineer.com). Whether you’re holidaying as a couple or going it alone, on a tour you’re bound to meet kindred spirits. “Travelling solo doesn’t mean travelling alone – on an escorted tour it means camaraderie with fellow guests who share your interests,” says Tauck’s Kathryn Coles. And if those interests include wildlife, there’s one place that’s sure to get everyone talking. Take an escorted tour to Ecuador and you can look forward to visiting volcanic peaks, the world’s second-highest capital city, and the equatorial monument dubbed “the world’s bellybutton”. Ecuador is the starting point for cruises to the place that tops any wildlife enthusiast’s bucket list – the Galapagos Islands. Here you can swim with sea lions, marvel at giant tortoises and get close to blue-footed boobies as you cruise on the catamaran Seaman Journey, accompanied by a local naturalist guide. 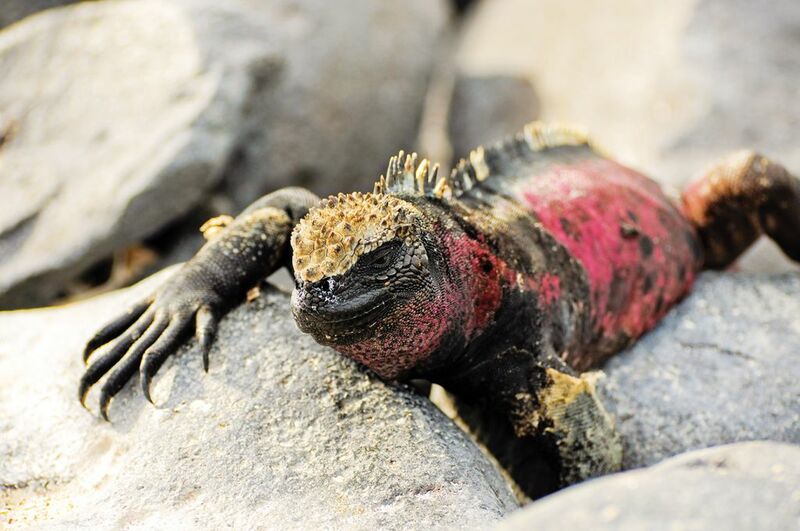 Book it: 11-day Ecuador and Galapagos Experience tour-and-cruise from £4,295, based on March 2019 departures (coxandkings.co.uk). Scott Dunn’s Seriously Special Experiences live up to their name. On this escorted tour to the Norwegian Arctic you’ll be taken each day to remote, unspoiled slopes where professional guides will introduce you to some of the world’s finest off-piste skiing. And each night you’ll return to the comfort of a luxury yacht. Cruising between Tromso and the Lyngen Alps aboard the 27-metre sailing yacht Firebird, which accommodates just seven guests in supreme comfort, you’ll enjoy a unique experience in this pristine wilderness. Book it: 4-night ski-and-sail trip aboard the Firebird from £28,000, including return flights from the UK and private transfers. Dates between February and May 2019 (scottdunn.com).